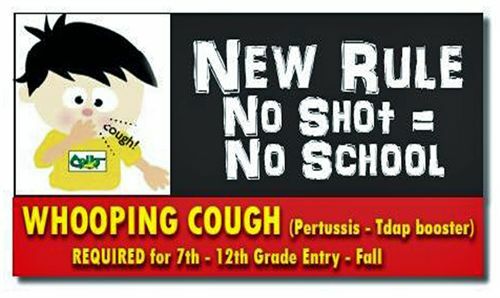 If your child becomes ill at school, he/she will need to go to the health office. The health office staff will assess the student's condition and contact parents when necessary. Please DO NOT have your child call/text you directly. It will cause them to earn a detention for using their phone. Please note that if your child is injured and requires medical attention or is hospitalized, he/she will need a medical release from a doctor that indicates the date the student may return to school. Please have the doctor list any restrictions or assistive devices needed. For example: "No P.E. for two weeks--must use crutches/sling/splint for 10 days." Click here for Release to Return to School form. PE Excuse – If a student needs to be excused from physical activity a parent must provide written documentation to the health office. An extended excuse of more than three days requires verification from a medical doctor. Students who need to take medication (including prescription and over the counter medications) at school must have a medication authorization form completed by a doctor and signed by a parent or guardian. The medical authorization form is good for the remainder of the school year unless otherwise indicated by physician. A new medical authorization form is required for each school year. Click here to download the form. 1 dose of the Tdap vaccine, required on or after a child's 10th birthday.